Soaps vs Cleansers – Is One “Better” For Your Face? The Sellwood Soap facial soap is the product that I receive the most positive feedback about – typically in the form of “Every other product dries out my skin, yours leaves my skin soft and never tight or dry!” Many customers have also struggled with acne and/or eczema until finding our products. 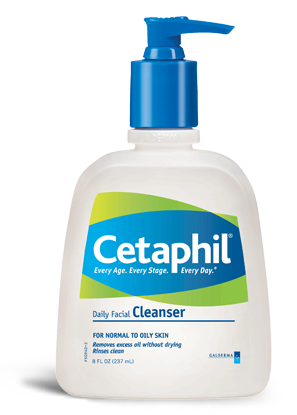 Their improvements seem to contradict the common recommendation from dermatologitsts to avoid soap altogether and opt for liquid cleansers, claiming that naturally alkaline soap will disrupt the “acid mantle” (a term referring to the thin, mildly acidic protective layer of sebum on the face) more than a facial cleanser will. From my experience and the experience of my customers, I have to argue against this belief. For review, here is a pH scale. Low pH is acidic, high pH is alkaline/basic. Liquid Facial cleansers are typically emulsions of water, synthetic petroleum-based detergents (made by combining lye, sulfuric acid, petroleum-based oil and other chemicals) and stabilizers. In addition to being filled with synthetic chemicals, their high water content and mildly acidic nature create an ideal habitat for bacteria and mold, so anti-microbial preservatives are also added. This cleanser is known for being one of the gentlest available, yet there are many ingredients known to cause skin irritation and/or have other detrimental health and environmental effects. The pH of a facial cleanser is mildly acidic, which I can’t deny is closer to the pH of the acid mantle. However, I feel strongly that this one data point, “pH,” is given far too much credit and that a well-formulated facial soap is actually gentler on delicate skin. I’m not alone in believing that the term “pH balanced” is mostly a marketing ploy to attract customers. Also note that mildness is not an indicator of safety. Johnson & Johnson’s baby wash is tear-free and thus “mild,” but filled with controversial chemicals. A facial soap is made specifically for the face by combining non-comodegenic vegetable and seed oils and lye (note that detergent-based facial cleansers are also made with lye, it is not in either final product). All handmade soap (including facial soap) is mildly alkaline by nature and resists bacterial growth without preservatives. Facial soaps are also made using nutritious vegetable and seed oils that contain natural anti-inflammatory, antioxidant , anti-aging and skin-softening compounds. 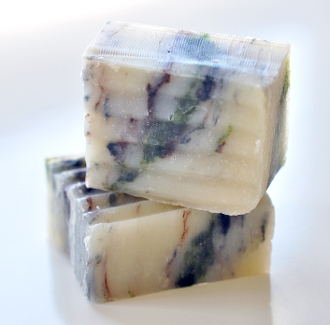 Castile (olive-based) soaps are renowned for their mildness and other oils such as jojoba are chemically very similar to the skin’s natural sebum. Handmade soap is also “super-fatted” with these oils, meaning that extra oil is added to the soap and remains in the final bars to enhance mildness, leaving a thin protective layer of natural fatty acids on our skin…acting much like the acid mantle does. Whether you use a facial wash or a facial soap, they’re both going to remove oil from your skin – that is the nature of any cleansing agent. I recommend choosing simple, natural products over lab-created chemical mixtures. Try as we may, whenever we try to outsmart nature with new and innovative chemistry, it often seems to backfire. Whether you are choosing what to cook for dinner or what to put on your face, keeping it natural tends to be the best option.